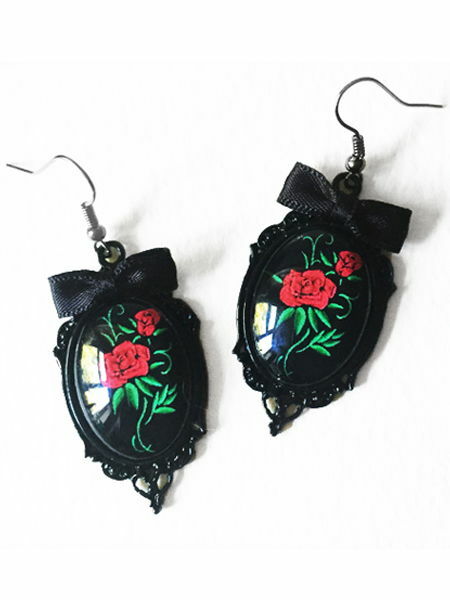 A gorgeous pair of gothic rockabilly earrings featuring glass cameos with an image of red tattoo roses on a black background. 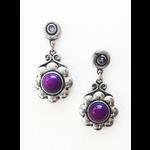 The filigree earring frames are made from black metal and are finished with little black satin bows. 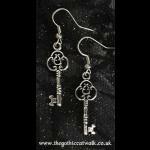 Black plated ear wires. 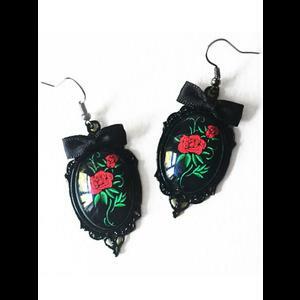 The earrings come in a black organza gift bag. 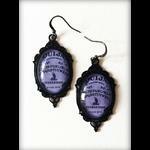 These earrings are water resistant but not waterproof. 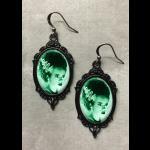 Please do not wear them when bathing, showering or swimming or otherwise immerse them in water. Total drop: 55mm (2.25 inches) including wires.